Scott discusses using AgriSync as a virtual call center. Scott Meldrum of Van Wall Equipment shares his excitement for Version 2.0 of AgriSync. Scott discusses the seamless transition between phone calls and live tracked videos in AgriSync. Scott also says that AgriSync's team tickets helps them to emulate a call center without the overhead of an actual call center. What do you think of AgriSync Version 2.0? "I think Version 2 of AgriSync is tenfold improvement over Version 1. Version 1 was a first step and filled a need, but there still was areas that needed improvement. The ability now to have a phone conversation going with a grower and seamlessly transition into a ticket video call is huge, so we don't have to hang up, we don't lose contact with that grower. It's seamless there." 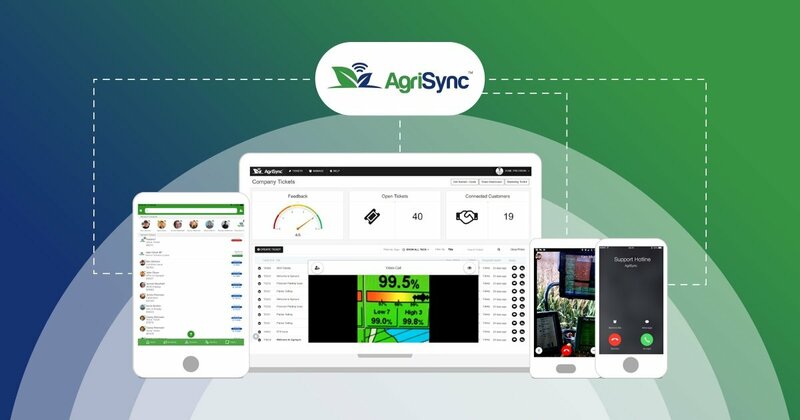 What capability are you excited about in AgriSync 2.0? "The team ticket. A grower's ability to submit a team ticket. It basically is going to allow us to have a call center without having a call center. We'll be able to keep those guys who know the ins and outs, the tricks of the trade, to stay out in the field but also be a resource to everyone in the dealership and our farmer customers."